A news item in NYTimes has shown interesting facts. 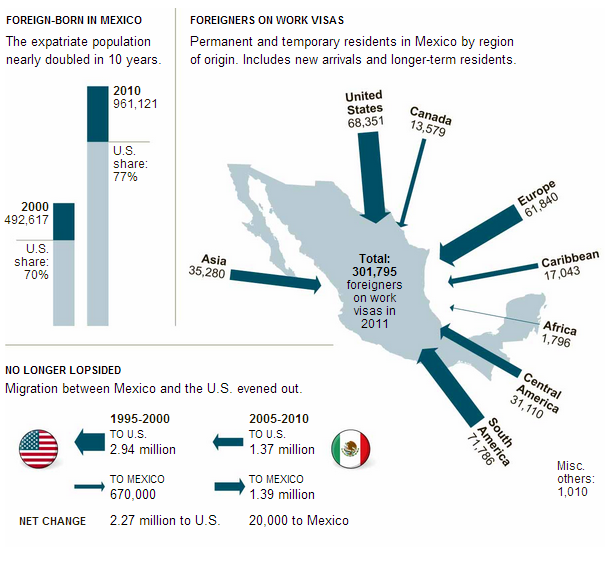 The expat population in Mexico has nearly doubled in the last decade. The biggest contributor country-wise has been USA, followed by Canada. Most of the expat population stays in tourist region of Mexico such as Playa del Carmen, Cancun and Akumal in Riviera Maya region. Wildlife in Grand Bahia Principe, Akumal?